Dr Bronwyn Sutton is a Speech Language Pathologist and Educator with 30 years’ experience. She has expertise in working with children with autism and language impairments. 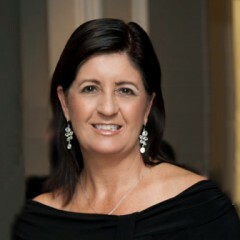 Bronwyn Sutton has postgraduate qualifications in Education and has a Masters of Special Education in Autism and Intellectual Disabilities. Bronwyn has a PhD from Griffith University. Bronwyn’s research investigated the use of iPad technology to support children’s social interactions with peers. Bronwyn’s reputation as a professional is highly regarded and her expertise in autism is widely sought. She conducts professional development courses for Psychologists, Occupational Therapists and teachers on topics such as autism, social skills and visual supports. Bronwyn understands the challenge of engaging students with diverse learning needs to access curriculum content and develop social and communication skills. Bronwyn is the author of The Learning App Guide to Autism and Education. This was the first professional app evaluation tool in Australia. The Learning App Guide was nominated for the ASPECT National Recognition Awards for its contribution to improving the lives of children on the autism spectrum. Kate Johns is an Occupational Therapist with more than twelve years of experience as an OT working with children. After graduating from the University of Queensland in 2002 with a Bachelor of Occupational Therapy, Kate has continued to study, while working and received her Master of Special Education from Griffith University in 2009. Kate also received the Elaine B. Wilson Memorial Award in 2007 (granted by OT Australia), recognising her contribution to the field of paediatric occupational therapy. Kate’s clinical experience stretches across assessment, individual therapy (clinic, school and home based), home programs, small group therapy and consultative services with educational facilities. In recent years, Kate has focussed on children with Autism and other communication disorders, focusing on engagement, play skills and functional developmental skills. Kate’s primary focus is to support the key people in the child’s life, in an environment that is familiar to the child. Chloe is an experienced Speech Language Pathologist and a Certified Practising Member of Speech Pathology Australia. Chloe has proven experience working with children on the autism spectrum with a special interest in early intervention. Chloe’s caring and friendly nature allows her to easily build relationships and rapport with children, creating a safe and enjoyable learning environment. 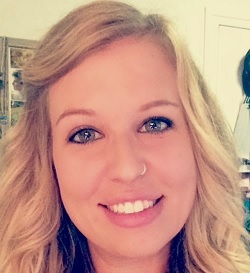 Caitlin Scothern is a Speech Language Pathologist with experience working across the lifespan, however her passion lies with early childhood and school-aged children. 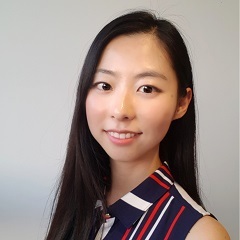 She graduated from La Trobe University, Melbourne, with a Bachelor of Health Sciences and Masters in Speech Pathology and is a practicing member of Speech Pathology Australia. Caitlin has experience working in both community and private sectors, across clinic, educational, and home based settings. Throughout her experience Caitlin has developed a passion for working children with autism, with complex communication needs, and children with dyspraxia. Caitlin values a collaborative, multidisciplinary approach and believes that goals and strategies of therapy should always align with a family’s primary desired outcomes. 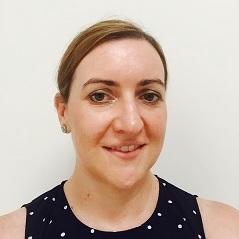 Caitlin is well trained in a variety of therapy approaches, including DIR Floortime, AAC, TEACCH, articulation and phonological therapy and the Lidcombe (stuttering) program. 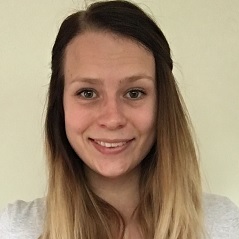 Rebecca is a Paediatric Occupational Therapist whose additional qualifications in Psychology, means that she has a deep understanding for the behavioural and emotional needs of children on the autism spectrum. Rebecca’s practice focuses on supporting children who struggle with anxiety, self-regulation (emotions, behavioural and sensory), activities of daily living (feeding, toileting, sleeping, bathing) and fine motor skills including drawing and hand writing. Rebecca sees the potential in all the children she works with and seeks to equip them with the skills and strategies they need to meaningfully engage in their everyday life. Rebecca loves seeing her clients develop throughout their therapy sessions. She finds it extremely rewarding to help transform what were previously difficult daily experiences, such as staying calms when things change or eating a variety of foods, into positive activities. Rebecca utilises evidence based therapies to inform her clinical practice. Rebecca’s practice adopts a positive behaviour support where she assessed the reasons why a child might be struggling to stay calm and regulated. Her therapies include the Zones of Regulation, Emotional Toolbox and Emotional Thermometer (Tony Attwood), CAT-KIT (Tony Attwood), Functional Behaviour Analysis, TEACCH, Learn to Play program (Karen Stagnitti), Comic Strip Conversations and video modeling.